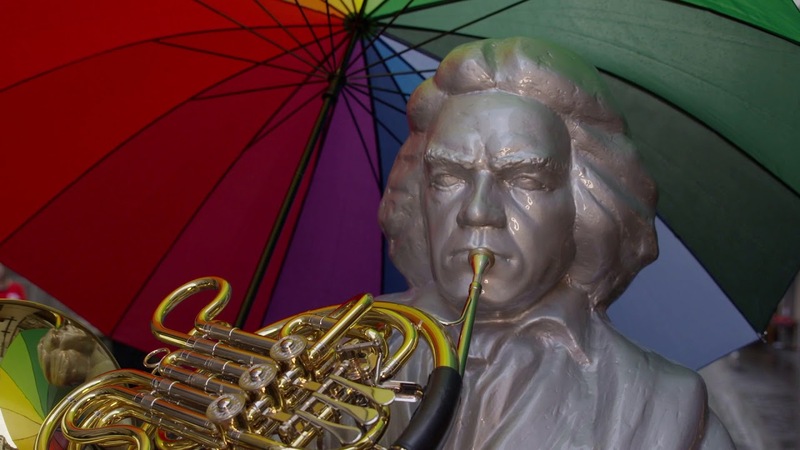 This episode documents the opening weekend of the annual Beethovenfest in Bonn. Sarah´s Music is there every year as the Deutsche Welle is the media partner. We had exhausted Beethoven and Gummibears in previous years so this year I decided to just roam about with my team on the opening weekend and see what was going on. Loved the energy of the ONE group – it´s always inspiring for me to see young people getting others involved through music. Johanna and Christina, you are great and keep on doing what you do! The Jazztube wasn´t part of the Beethovenfest officially but I was happy to discover it by chance so just had to include it. And I was really happy to include the Gustav Mahler Youth Orchestra, one of the best youth orchestras in the world. My own youth orchestra days were the best of my life, so it was great to be around their energy and talent and to hear their rehearsal – they sounded great! Rain, sunshine, lovely interviews, we had a great time in Bonn this year! Oh, and my tip for any of you visiting Bonn: go to the Konditorei Müller-Langhardt on the Marktplatz…they made all the edible Beethoven creations and we loved being there!